Alice Wilson, age 82, of the Phipps Creek Community, was welcomed home by the Lord on Thursday, March 15th, 2018 surrounded by her loving family while at Smoky Ridge Health and Rehabilitation. A native of Yancey County, she was a daughter of the late Ben and Jennie Pinkerton Riddle and granddaughter of TK and Lucinda Riddle. She was also preceded in death by her first husband, Clyde Edwards; second husband, Howard Arnold, Sr.; sister, Zelda Robinson; infant sister, Mary Riddle; daughter, Nell Jones and great grandson, Alex Jones. 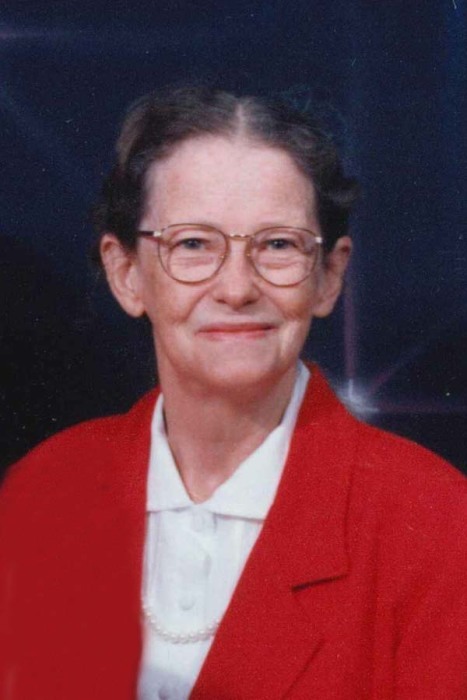 Alice was a member of Fox Creek Baptist Church where she played piano and sang in the choir. She loved her children and grandchildren and she loved the Lord. Surviving is her loving husband of 37 years, Oss Wilson; children: Laura Fortner and husband, Dennis, of Burnsville, Glen Edwards and wife, Rita, of Burnsville, Kevin Edwards and wife, Janet, of Hendersonville, Howard Arnold, Jr. and wife, Michelle, of Burnsville and Gary Wilson and his friend, Margie, of Old Fort; fifteen grandchildren; twenty two great-grandchildren; five great, great-grandchildren and special friends: Carolyn Shepherd, Barbara Hollifield, Nettie Mae Edwards and Carolyn Howell. Funeral services will be held at 3 p.m. on Monday, March 19th in Fox Creek Baptist Church. Rev. Perry Norton and Rev. Ken Jenkins will officiate. Burial will follow in Cane River Baptist Church Cemetery. The family will receive friends from 1 until 3 p.m. prior to the funeral service at the church. Flowers are appreciated or memorial donations may be made to Hospice and Palliative Care of the Blue Ridge at 236 Hospital Dr, Spruce Pine, NC 28777.